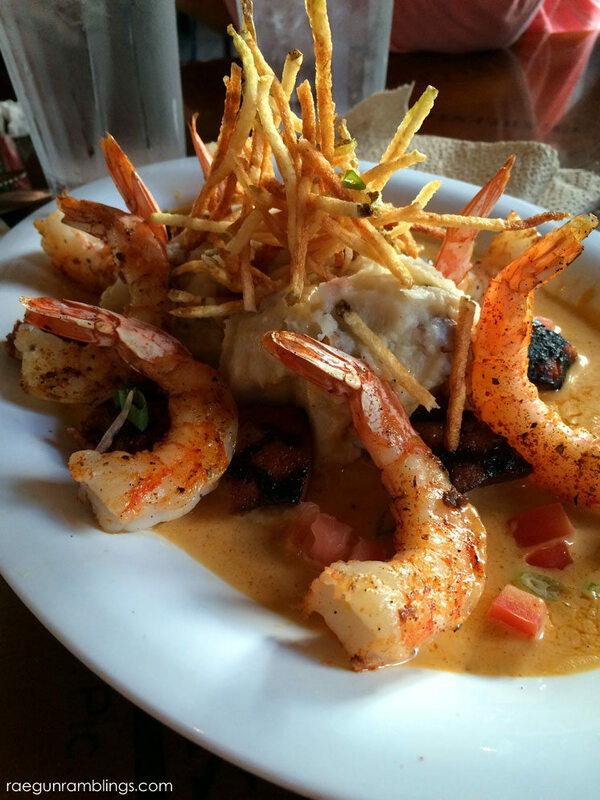 A great vacation requires great food. For those of you who follow me on Instagram you know my family is all about yummy food. 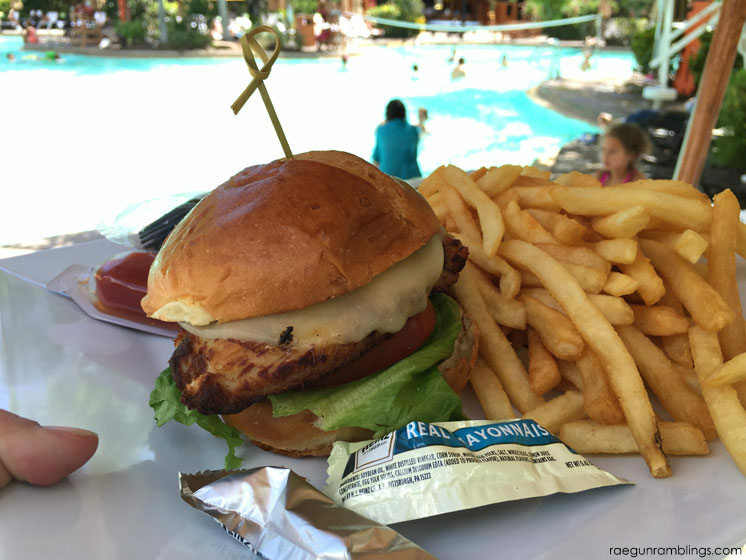 So I’m super excited to share my top picks of what to eat when you’re visiting Universal Studios in Orlando, Florida. 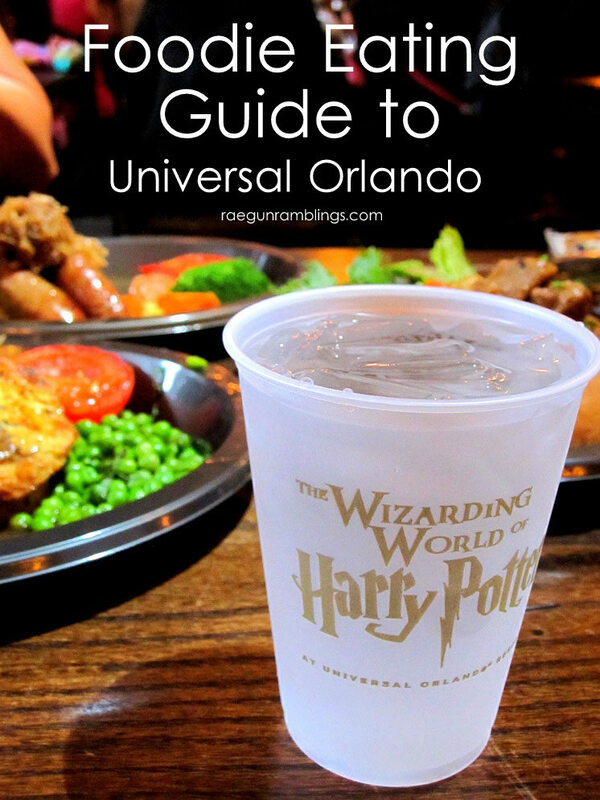 As I mentioned last week in my tour of the Wizarding World of Harry Potter we had a complete blast visiting the area and theme parks so today I’m sharing my favorite foods to make YOUR next trip to Universal Orlando the most delicious it can be. 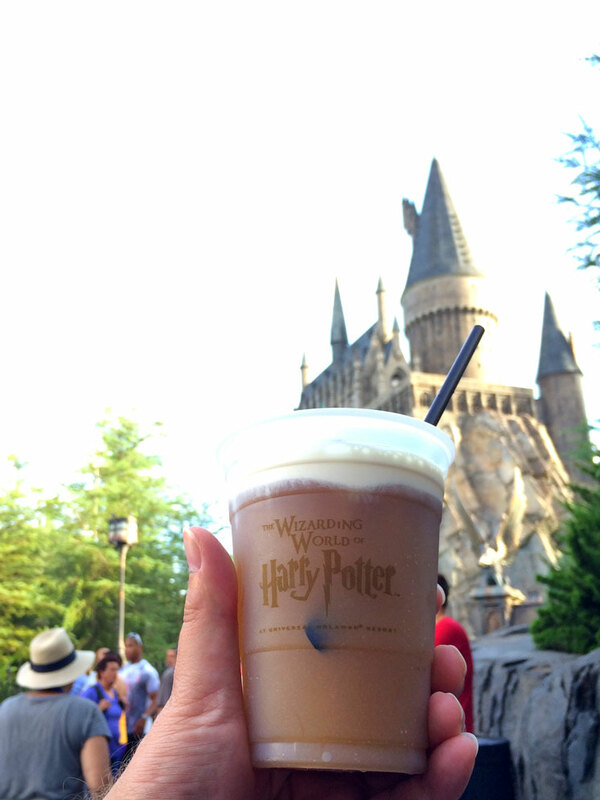 If you do one thing food-wise when you visit please please please buy yourself a Butterbeer (or two or three). This is a non-alcoholic drink that is absolutely delicious. It’s like a butterscotchy-y cream soda. It comes both in the regular drink variety which is a very tasty carbonated bit of yumminess. And in a frozen version. My sister and husband are adamant that they prefer the frozen kind. If you have to pick one I would say go for the frozen kind. But that being said I think I like both the regular one just as much as the frozen one. It kinda depends on my mood. 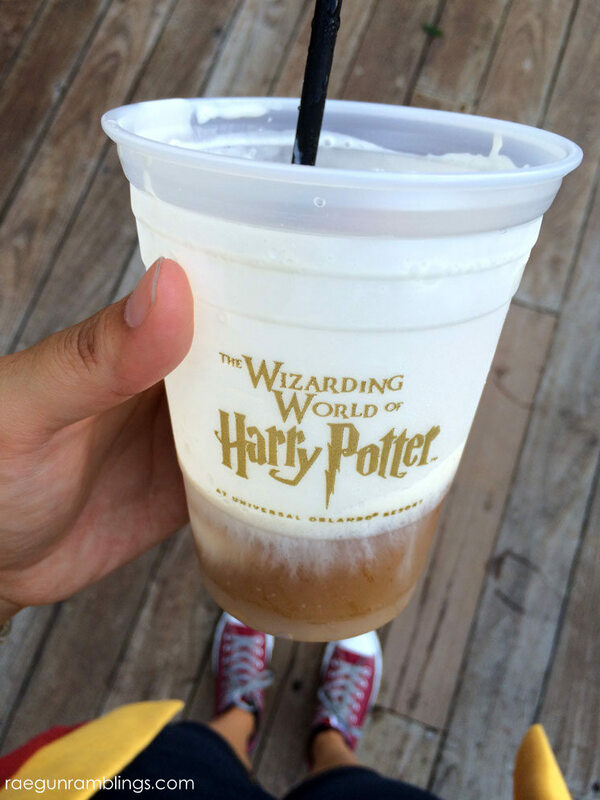 We had Butterbeer every day we were there. To me it’s like gelato in Italy you just have to do it and as often as possible! Fashioned after the famous San Francisco eatery this was hands down MY favorite place we ate the whole time we were in Orlando. And crazy enough it was in the theme park. Everything we had was very tasty. The portions were generous and it was really nice to take a break from the fast pace of the amusement park and sit down to a restaurant meal. In fact I loved the food so much that I almost went back in the same day. Unfortunately they were closed when it was dinner time since the park was closing shortly. 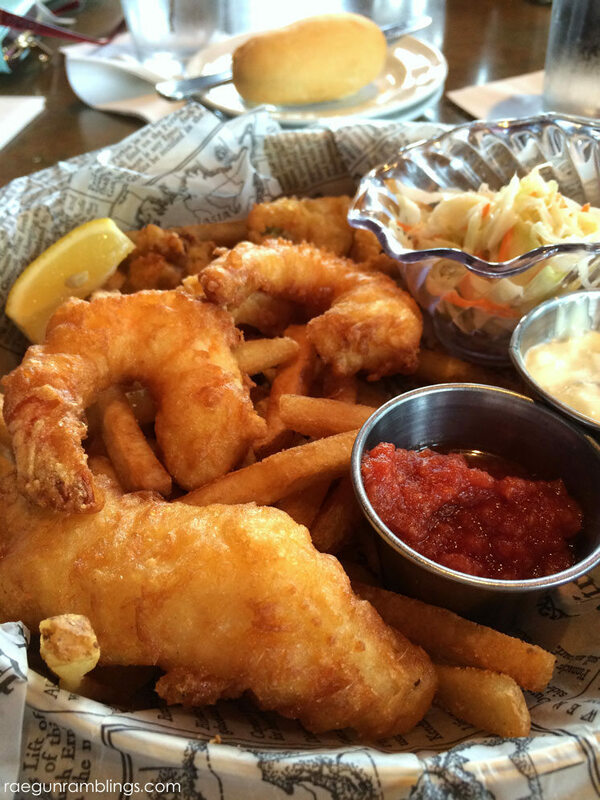 We had the Fisherman’s Basket which was a fried seafood lover’s dream. 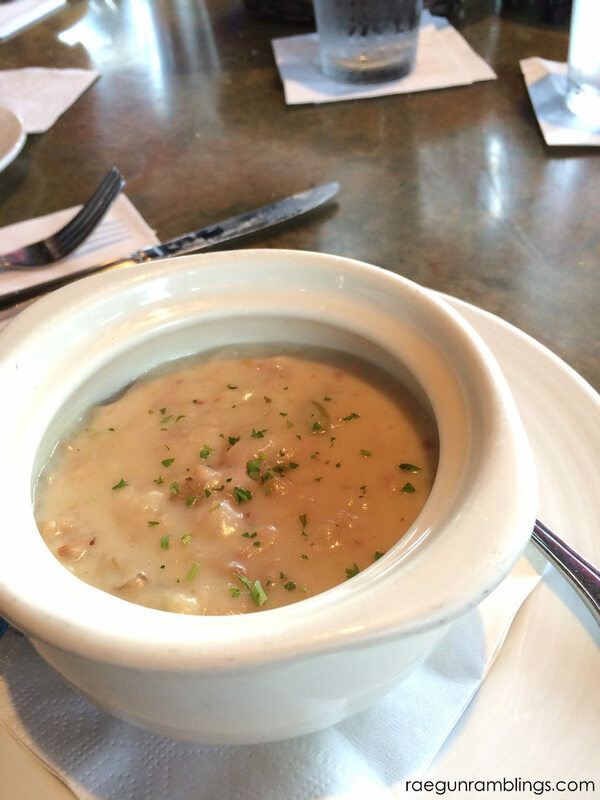 The clam chowder which was so tasty I had to resist gobbling it down since I bought that for Teddy (he also highly approved). 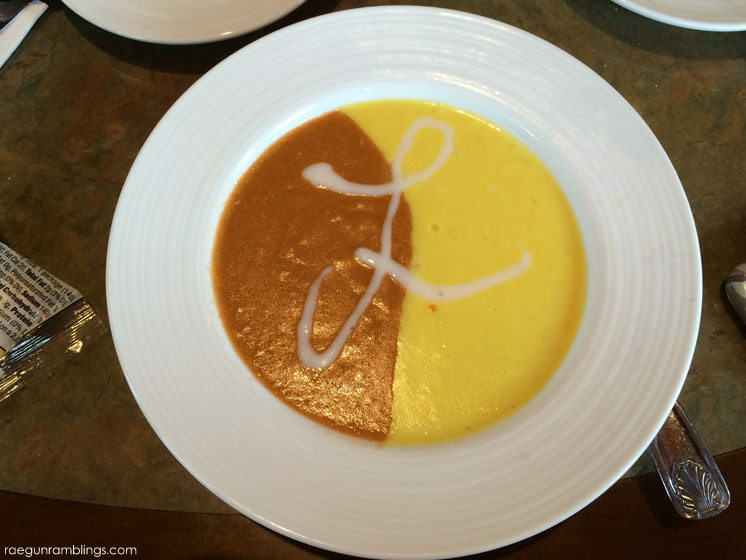 And my sister ordered the Lobster and Corn Bisque which was just as yummy as it was stunning. 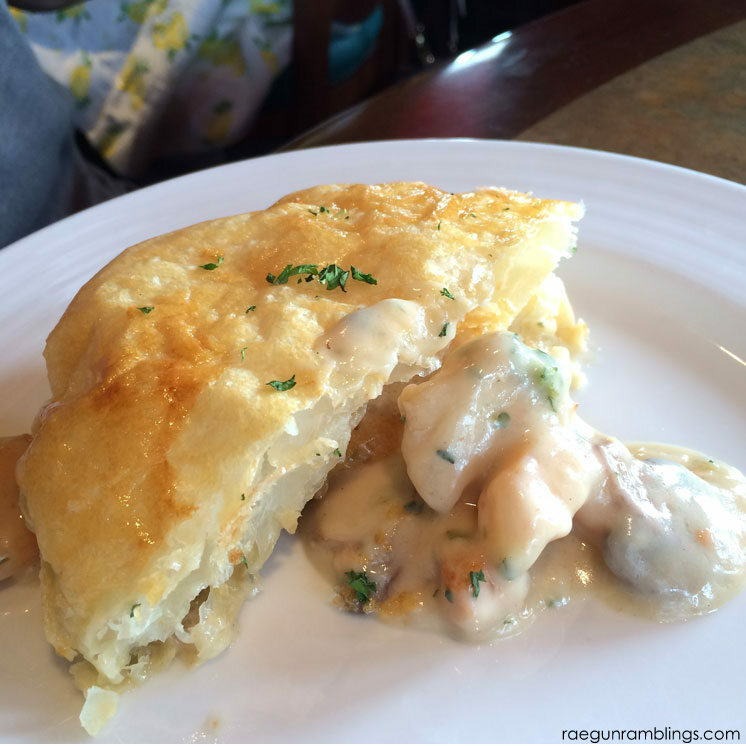 But my biggest regret was not stealing a bit of my mom and dad’s seafood pot pie . They said it was so good and were raving about it later and boy did it look amazing. 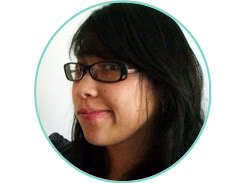 The prices were very reasonable and we were able to share stuff and feel satisfied. I would definitely go back (in fact I wish I could go back now) you can see the whole menu here. 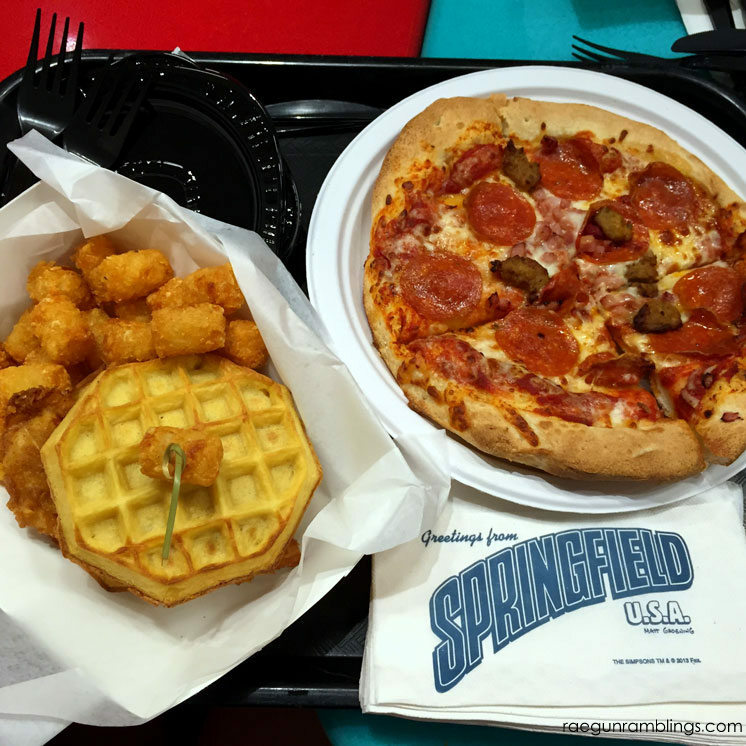 If you’re looking for something a little faster you can go through the cafeteria style lines of Fast Food Boulevard with all your The Simpson show inspired favorites that’s sure to have something for everyone in your group. We couldn’t resist trying the Chicken and Waffle Sandwich which was topped with a tasty maple syrup mayo. The kids were feeling the pizza and baby boy goggled his portion down. There are lots of other options like fried fish, burgers and hot dogs. But you can’t get out of there without trying the iconic Lard Lad donut. It’s massive and surprisingly yummy. And you know from my instagram feed that we are donut connoisseurs. You can see their full offerings here. 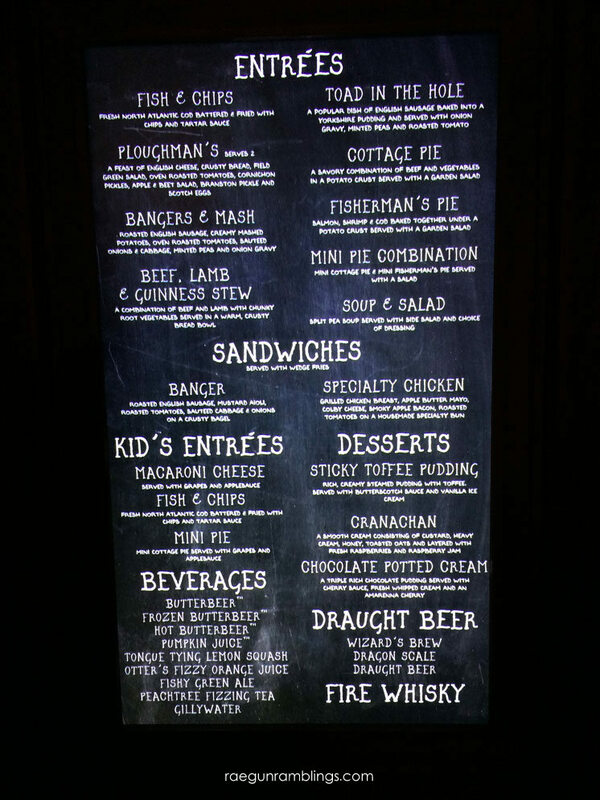 Harry Potter fans can’t miss the opportunities to eat in one of the wizard themed eateries. We decided on The Leaky Cauldron and it was great. Just like all the other stuff in the Wizarding World, the attention to detail was down right magical. It was SO fun to sit in there and dine. Also for a sit down restaurant they are surprisingly fast at serving you. It takes a while to get through the line to order but once we did our food came fast. Our favorite by far was the Toad in the Hole. It was unique but also super tasty. 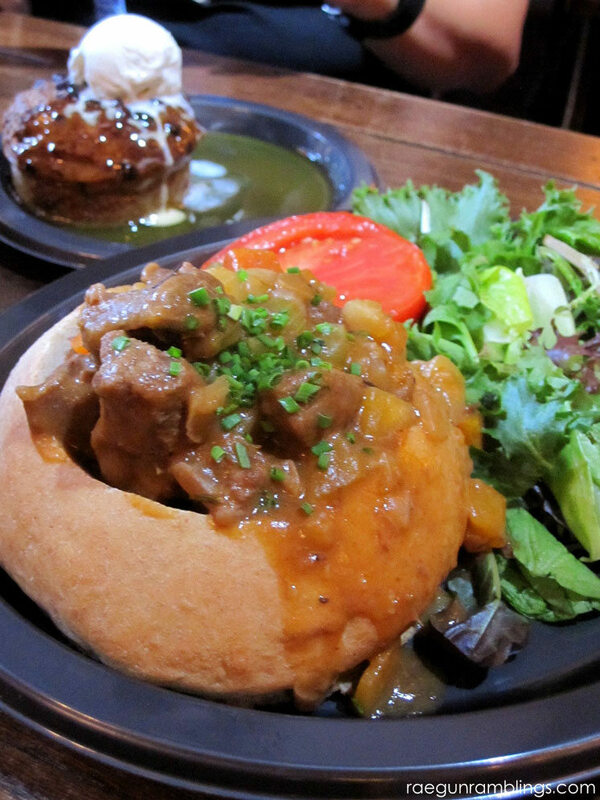 We also had the Beef, Lamb, and Guiness Stew pictured above but we didn’t love that. The bread was a bit dry but it wasn’t bad. 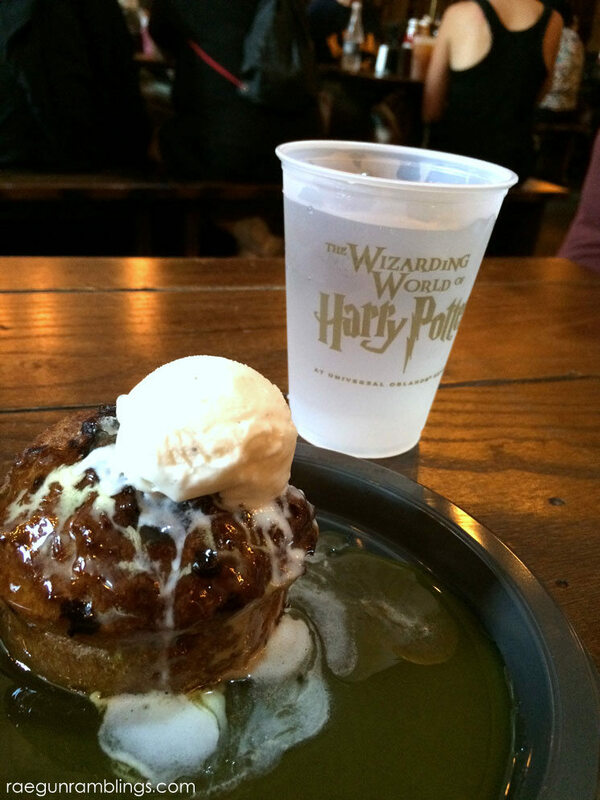 The sticky toffee puddings was very yummy almost a cake version of butterbeer. 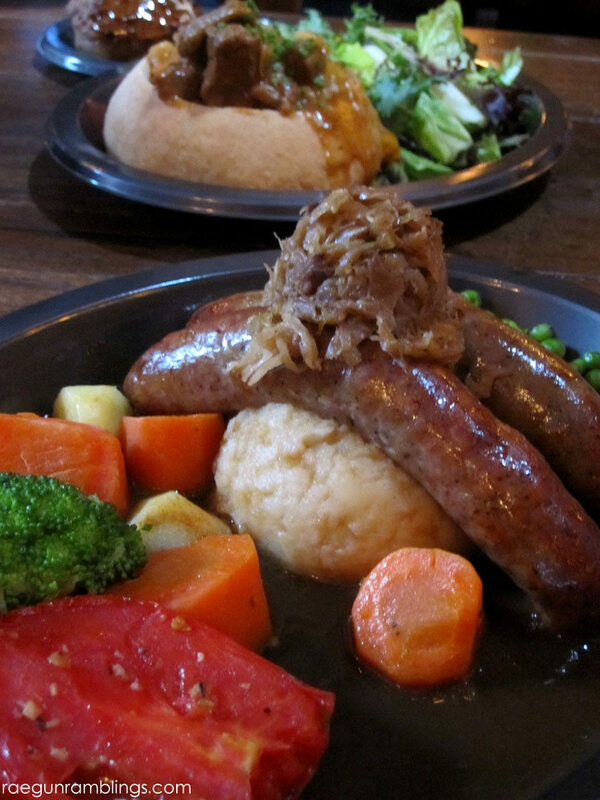 I was super impressed with the portion size of the Bangers and Mash and I really liked the taste of those as well but ever since my Summer in Oxford I’ve had a soft spot for Banges and Mash. In the park isn’t the only place to eat. Universal is split into two theme parks that’s connected with CityWalk (a row of shops and restaurants) on the outside and the Hogwart’s Express on the inside. 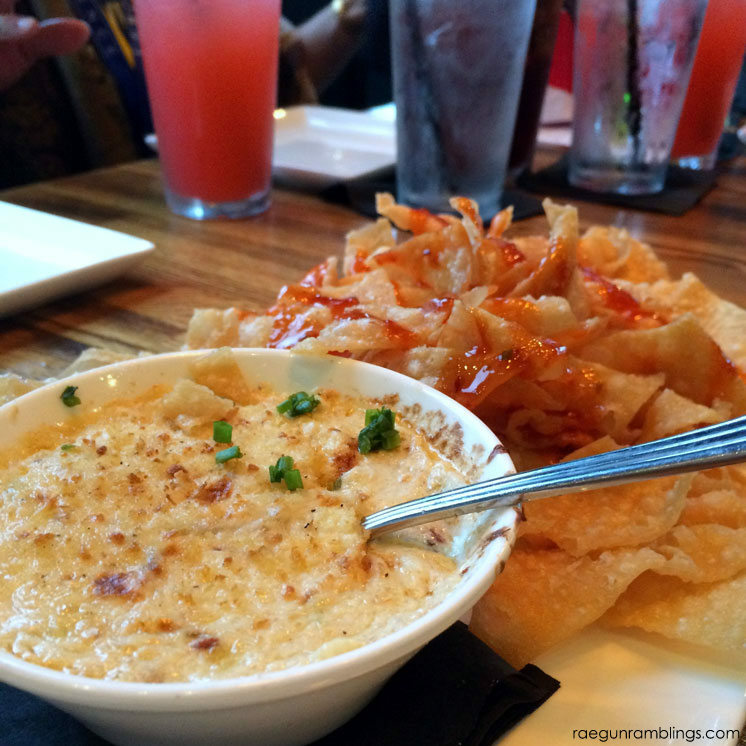 It’s just as easy to step outside the gates to grab a bite and I’m so glad we were able to try out Cowfish. The eatery get’s it’s name since they serve both burgers and sushi. Super fun right? 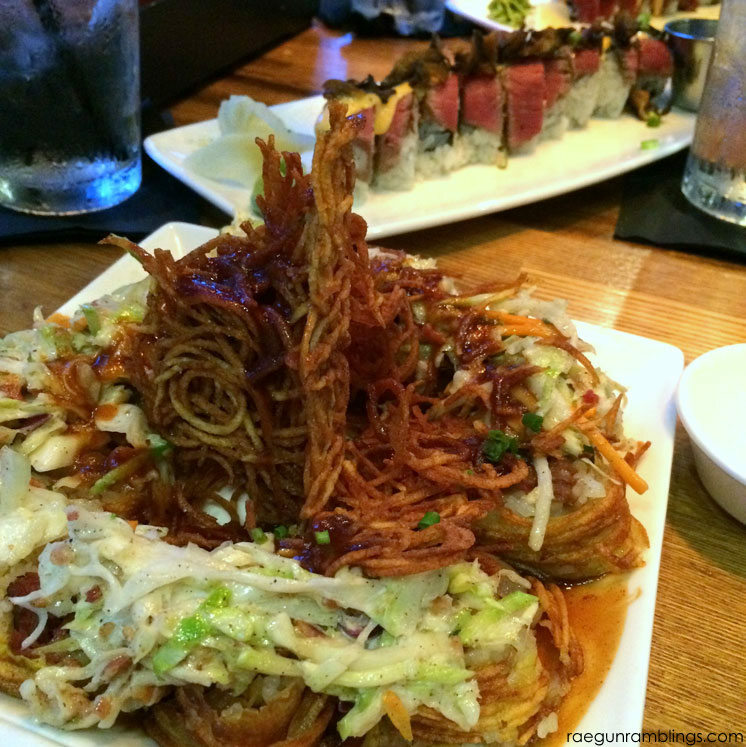 We had the Crab Rangoon Dip, Parmesan Bacon Truffle Fries, Boursin Bacon Burger, Spicy Yellow Tail Roll, the Prime Time Filet and Lobster (sushi) roll, and the High Class Hill Billy (pictured here). It was all very tasty. But the thing I was most impressed with were the kid’s meals. We almost never order kid’s meals because honestly it’s almost always fake dumbed down food that isn’t that flavorful put there on the assumption that kids on’t eat real food. That was NOT the case here. There were really good options with real food that was both healthy and fun. For Teddy we picked the Shrimp Tempura meal which came with a shrimp tempura roll and choice of sides (we could have also had apple slices or edamame) and it had the cutest rice krispie sushi. He scarfed it down! Another good option in CityWalk is Bubba Gumps. If you like fried seafood (or seafood of any kind) this is a treat. Our waiter was awesome quizzing us on Forest Gump trivia while also tending to our tummies’ needs. I’m always a sucker for friend shrimp and the Shrimper’s Heaven did not disappoint. But I think my favorites were a tie between Lt. Dan’s Drunken Shrimp (pictured above) or Jenny’s Catch with Lobster Butter Sauce (pictured right here). Oh man it they were SO good. The portions were very generous so we were happily stuffed just sharing a few dishes. See the full menu here. 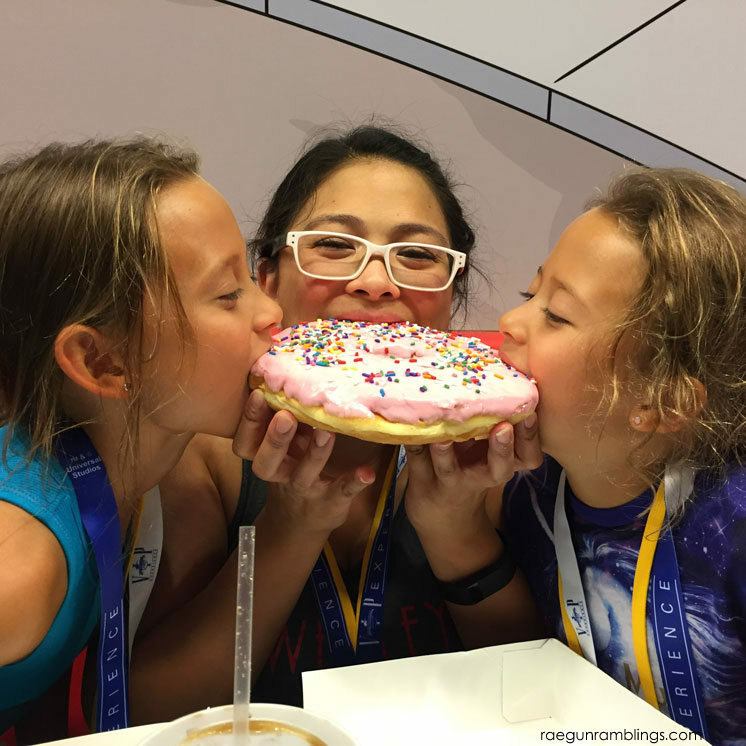 We had the pleasure of staying at Loews Royal Pacific Resort during the Family Forward retreat with Mom It Forward and the first day we were there we camped out by the amazing pool (more on that in a different post). But I was VERY impressed by the poolside food options. Not only were they super yummy but the portions were giant making them very sharable and a great bang for your buck. We tried the burger and yummy chicken sandwich both which came which a geneorus portion of fries. The kids meals were equally as big and tasty. 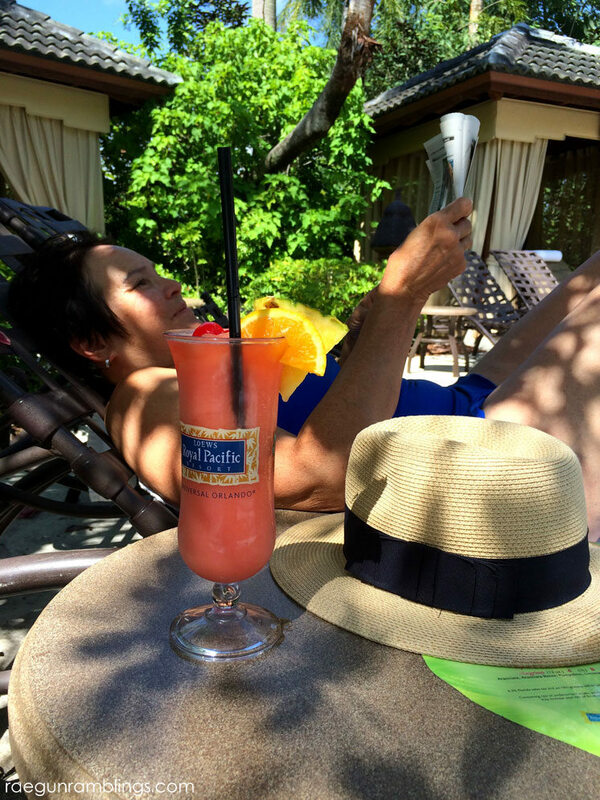 And of course how can you pass up a poolside frozen daiquiri? Butterbeer get’s all the fame but if you are a fan of pumpkin stuff (like my husband) then you’ll want to grab yourself one of these. 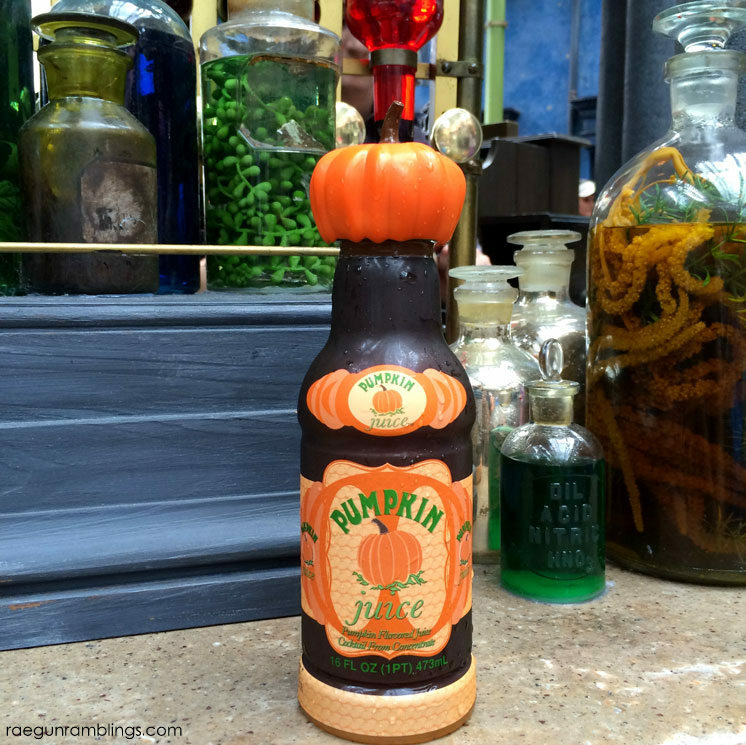 The pumpkin juice comes in the cutest bottle (yes I brought it home). It’s like a yummy refreshing spiced thin juice that tastes like fall in a bottle. And last but not least I highly highly recommend the delicious ice cream from Florean Frotescue’s in Diagon Alley. 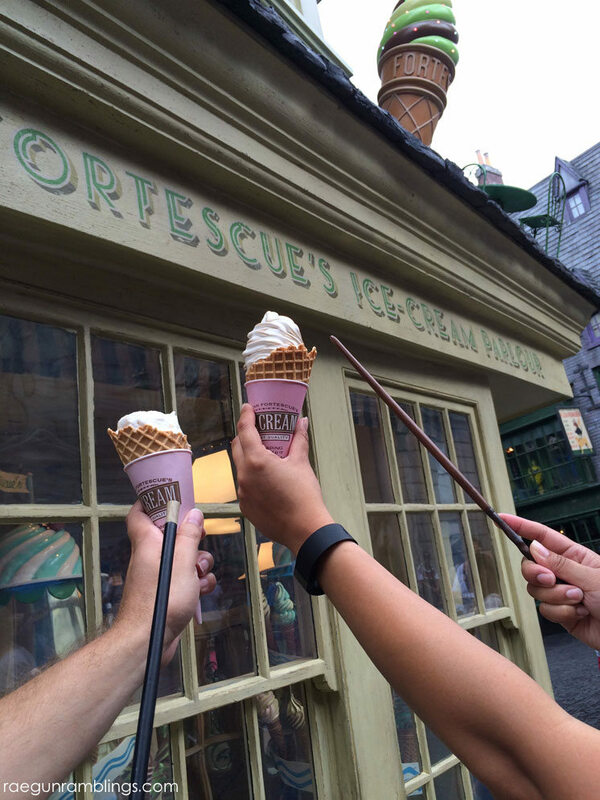 This is your chance to try butterbeer in yet another form -soft serve ice cream. 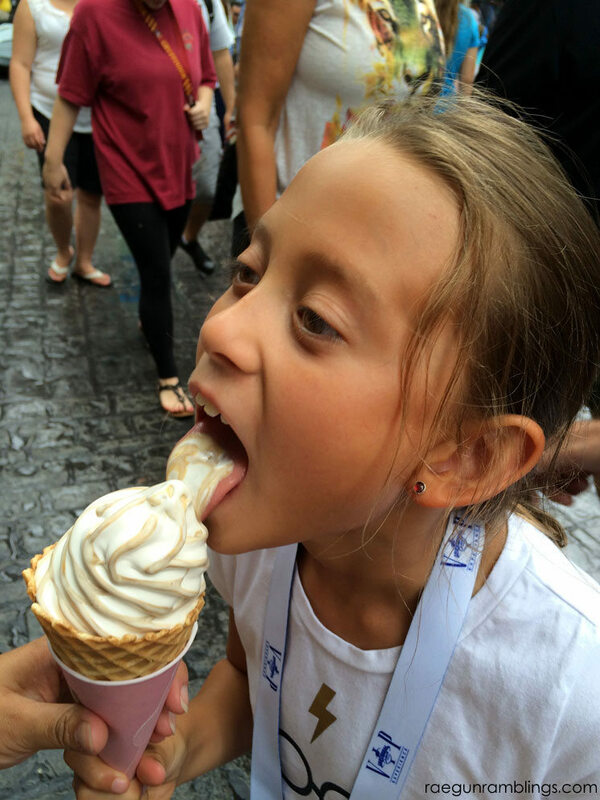 I’m not going to lie that butterbeer cone my sister and nieces got was DELISH. But I was happy with the flavors I picked to share with the hubby -Salted Caramel Blondie (one of their best sellers so suuuuuuppppper yummy flavors) and Apple Crumble. I was so pleasantly surprised with all the food we had during our trip. Have you been to Universal Studios Orlando? Is there anything else I need to make sure to try next time I’m in town? And if you missed it make sure to check out my photo tour of The Wizarding World of Harry Potter full of tons of fun pictures. It looks like you had an amazing trip! All that food sounds yummy. My son got to visit Universal and The Wizarding World of Harry Potter on spring break this year on a marching band trip. 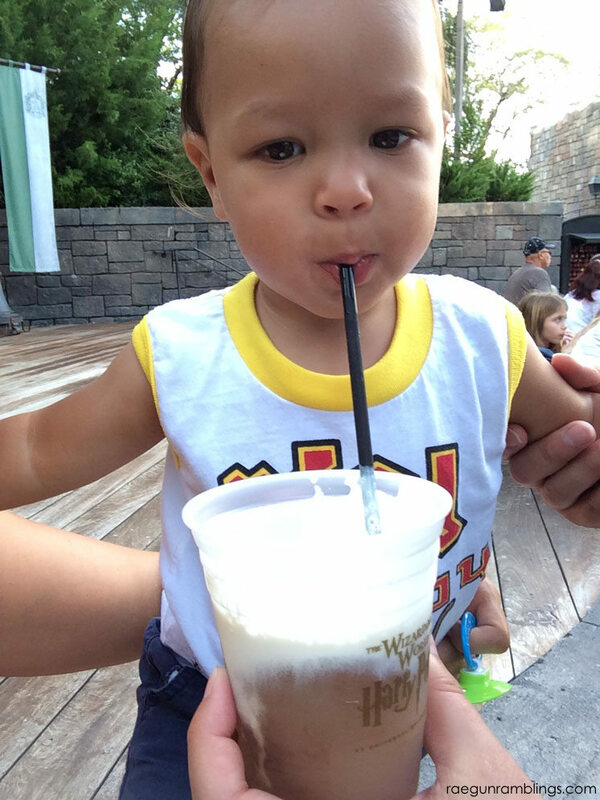 He absolutely raved about the butterbeer. I think it was the highlight of his trip food-wise. I was just there last month. 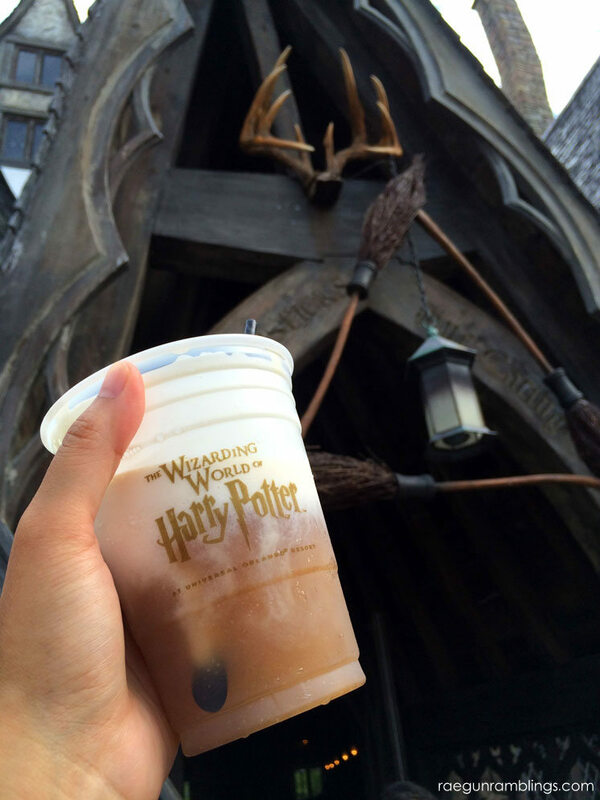 Did you try the hot butterbeer? I think that’s my favorite, even though it was 90 degrees out. Also, the Leaky’s breakfasts were really good. Usually we don’t do breakfast out, but the menu sounded so good that we made a point of doing it one of the days we were there. 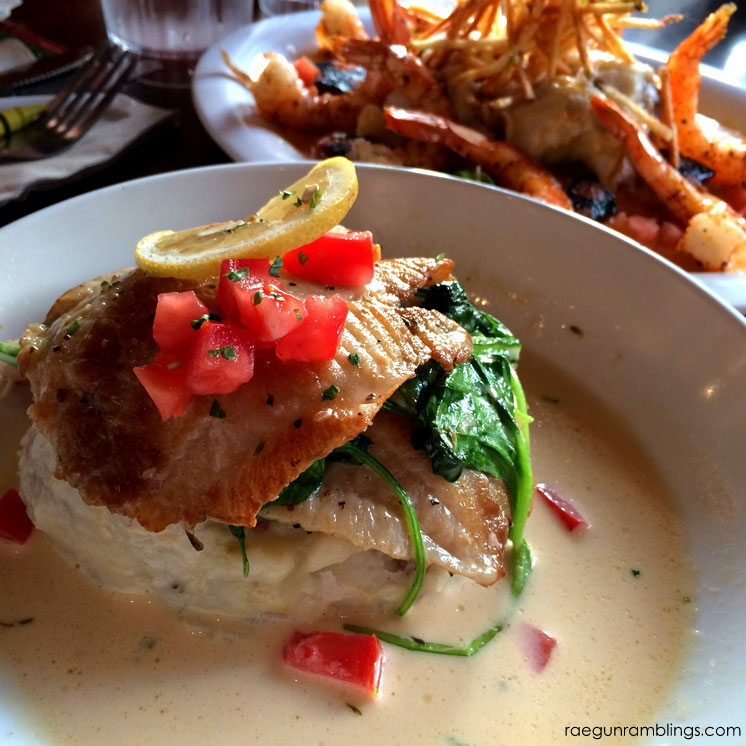 When we ate in Springfield, I got the seafood platter and it was some of the best seafood I’d had at a counter service restaurant. I was impressed. 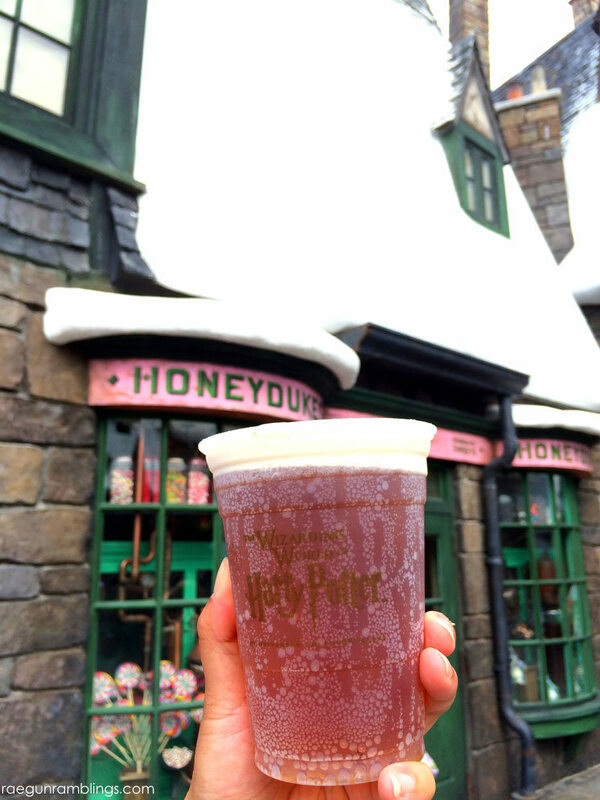 No love for the hot Butterbeer? I agree- it’s hard to pick a favorite. To us, it’s a butterscotch meets shortbread cookie flavor, and delicious in any of its 4 varieties. We were at Universal a couple of weeks ago and really enjoyed our experience at Mythos (in Islands of Adventure, by Poseidon’s Fury). Definitely recommend it! We also had brekkie at both the 3 Broomsticks and Leaky Cauldron- their pancakes were meh, but their English Breakfast was surprisingly good, and more food than we expected. 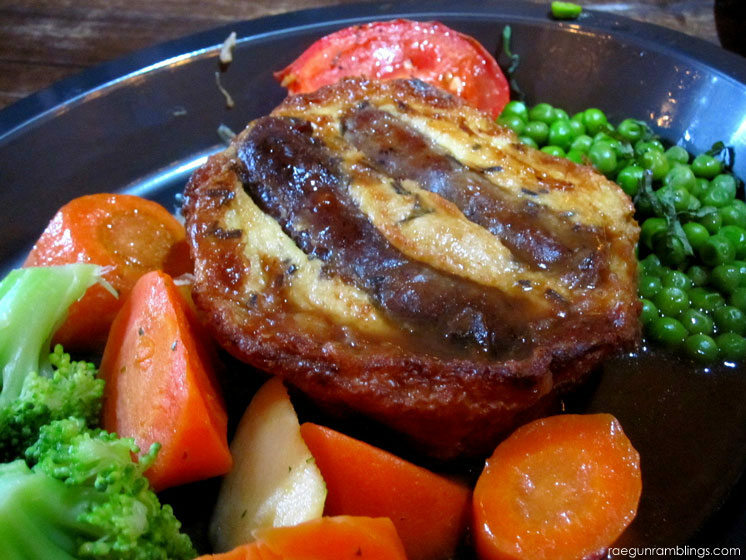 I agree about Toad in the Hole (and am kicking myself for not trying the Sticky Toffee Pudding- it looks so good!). Every flavor at Fortescue’s is the best! And I notice you didn’t mention the three beers custom-brewed for WWoHP (and Duff beer in Simpsons as well)- did you try them? The Hogs Head is a delicious Scotch Ale, the Wizard’s Brew is a very rich stout, and then Dragonscale is just a nice red ale that tastes more like an amber. All great choices! 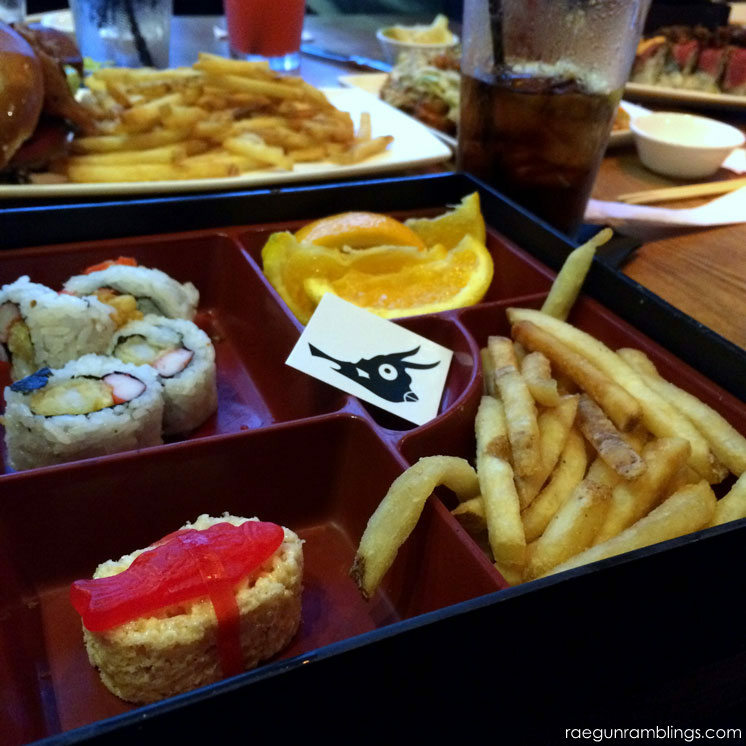 We ate at Cowfish, too. The food was good, but the service was TERRIBLE. We were amazed to find that the food outside of Universal, while plentiful, was not as good or unique as the food inside Universal. Go figure! Loved Margaritaville (in City Walk) also. Great burgers and of course, Margaritas. Another place we like is Hard Rock Cafe (City Walk). We love to be able to get a nice dinner salad or flat breads and the drink refills are free. It makes a great place to cool off and refuel in the middle of the day. 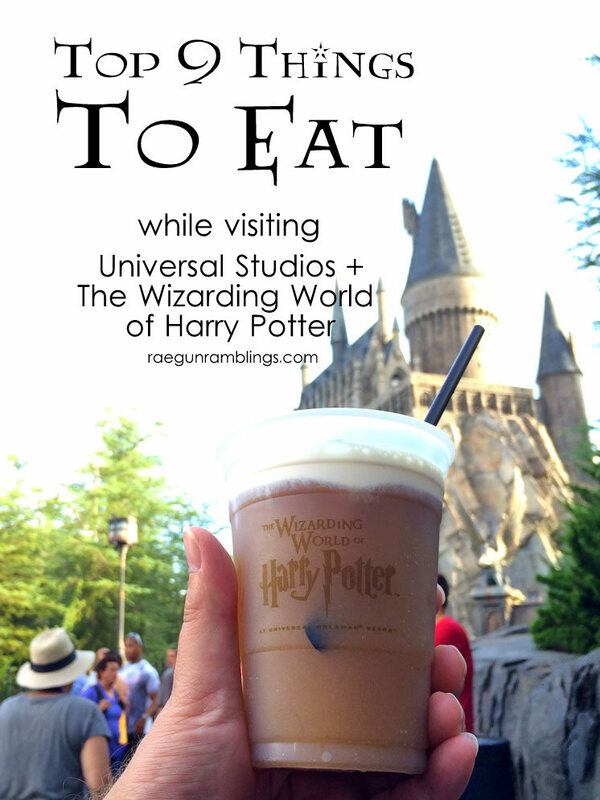 I will be at Universal this September and your blog is going to be my go-to guide for Universal eating. The Simpsons Fast Food Boulevard didn’t appeal on first glance, but you made it sound amazing, so now I must try. And I definitely want to check out Lombards. Can’t wait! I have to admit, after reading this, I want to go back to HPW solely for the food. I can’t believe I missed so many things on this list.